During a routine assignment in Amarr space, a young capsuleer named Ariadnea was tasked to inspect and take out a small Blood Raider installation. As she arrived at the site, it turned out that the intel on the site was outdated! A large Blood Raider fleet awaited her arrival. Quickly she realized her Drake wouldn't be a match against a combined fleet of numerous Blood Raider battleships, cruisers and frigates. As she frantically tried to escape with her Drake, lasers mercilessly hammered her shields but she managed to warp out on time towards a random belt in the system. After this narrow escape, she docked up, assessed the damage & situation and decided to call out for help. As Ariadnea lead the way, our marauder battleships flanked her ship, escorting her on this task. As we arrived on the field, the Blood Raiders once more focused on her Drake. But Gentlejohn and I responded in kind. each salvo of our weapons ended another Blood Raider ship. Every barrage from the Golem's missiles meant a Blood Raider vessel met it's end. The salvos from my Paladin's laser-batteries were as efficient in taking out these cruel enemies. Meanwhile, Ariadnea's Drake focused on the nimbler ships who tried draining our energy. 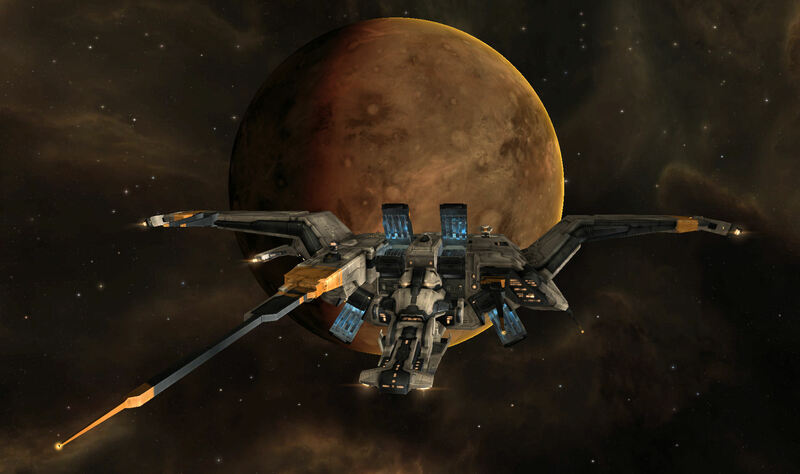 With our drones assisting, even these smaller ships stood no chance against the onslaught caused by 3 capsuleers. And so the battle went on, the Blood Raiders losing ship after ship as they began focussing on the marauders. Their efforts in trying to take us down all end up in vain, as they are no match against the formidable defenses and power from a marauder battleship, commanded by capsuleers. Eventually, the fight died down, the few remaining Blood Raiders who tried escaping got shot down as well. Letting these cruel cultists escape would only spell doom in the future. Once more, the people in the region could breathe easier, knowing another Blood Raider battlegroup was taken down.